Can we really become more like Jesus and teach our people to do all that he commanded? The pressing question for the church is whether we have something tangible to offer when it comes to personal and cultural transformation. We do, but how do we get a fresh hearing for discipleship to Jesus within the local church itself, let alone outside the church? As discipleship movements, models and programs continue to proliferate, how do we discern what actually nurtures mature followers of Jesus? Talbot can help. Discipleship for the 21st Century is a Doctor of Ministry track designed to make authentic discipleship to Jesus Christ a present-day reality. With Dr. Steve Porter as your faculty-mentor, and with a host of highly esteemed guest lecturers, you will explore the first-century world of biblical discipleship and come to understand more fully how to lead your people to become a similar community, growing in conformity to Jesus and living out his kind of life in the 21st century. When it comes to discipleship, we must seek clarity on the form of discipleship Jesus practiced and taught and how that form of discipleship brings about personal transformation. During the first week we will seek to understand Jesus’ form of discipleship in contrast to other forms found in the ancient world as well as how a theology of discipleship/sanctification developed across the New Testament canon. Since discipleship to Jesus is a lived reality, our theology of discipleship must be integrated into real human life; it must move beyond theory. So, in the second week we will apply our theology of discipleship to our personal lives and ministry contexts, and allow this practical application to “test” our theological understanding. In the end, we will have a deepened and renewed strategy for spiritual transformation in our own lives and ministries. During these first two weeks we will interact with Mike Wilkins, Ben Shin and John Coe. In this residency we will explore two related questions: How can discipleship take root in the local church and how does the local church nurture the process of discipleship? During the first week we will explore discipleship as the core function of the church and seek to understand how the family of God is the essential context in which discipleship to Jesus takes place. In the second week, we will turn to various practical models of fostering disciples in the local church. Since discipleship is an inherently relational process, we will explore the psychology of interpersonal relationships, mentoring, spiritual direction, small groups, spiritual friendship and leadership development. In the end, we will have a tangible plan for developing disciples within the church. During these two weeks we will interact with Randy Reese, Rob Loane, Mike Breen, Joanne Jung, Larry Osborne and Greg Ogden. Building on our prior studies, we will focus on how discipleship is embodied in our contemporary world, whether that’s across the dinner table, across the street or across the globe. In the first week we address discipleship in marriage/parenting, the impact of gender on discipleship and unique cultural challenges to Jesus-following. The second week will focus on the important interconnection between discipleship and evangelism/mission. We will see how becoming more like Jesus naturally leads to compassion for and sacrificial service to those in need. In the end, we will have a better understanding of how discipleship to Jesus within the local church presses out to address the needs of the world. During these final weeks we will interact with Mike Erre, Keith Douds and several others. With 20 years of experience in both academic and church ministry, Dr. Steve Porter is Associate Professor of Theology and Philosophy at Talbot’s Institute for Spiritual Formation and Rosemead School of Psychology. 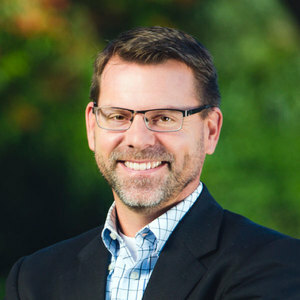 He also serves as an Associate Director of Biola University’s Center for Christian Thought and the managing editor of the Journal of Spiritual Formation and Soul Care. Dr. Porter’s teaching, research and writing are all focused on the theology of discipleship, sanctification and spiritual formation, and how to work out that theology in real human life within the context of the church.